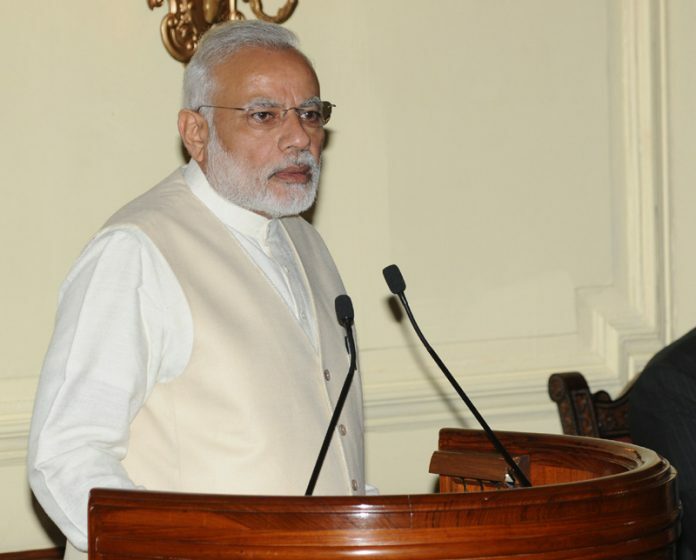 The Prime Minister, Shri Narendra Modi addressing at the release of the book Citizen and Society, authored by the Vice President, Shri M. Hamid Ansari, at Rashtrapati Bhavan, in New Delhi on September 23, 2016. New Delhi: Union Minister of Science & Technology and Earth Sciences and Vice President, CSIR, Dr. Harsh Vardhan, at a press conference organized here today, made an announcement that the CSIR Platinum Jubilee Celebrations would be inaugurated by the Prime Minister of India and President CSIR, Shri Narendra Modi in New Delhi on 26th September, 2016. The Minister also launched CSIR’s Integrated Skill Initiative Program during the press conference. Further, Dr. Harsh Vardhan informed that on this occasion, the Prime Minister would release seven new plant varieties developed at CSIR laboratories to the farmers located at five different locations from across the Nation, in an interactive mode through video conferencing. The Prime Minister would also witness an exclusive CSIR Showcase on major technological contributions of CSIR, organized on the sidelines of the event, he added. On this occasion, the prestigious Shanti Swarup Bhatnagar Prizes would be given to eminent scientists. The CSIR Diamond Jubilee Technology Award, CSIR Award for Science & Technology Innovations for Rural Development, CSIR Technology awards, G.N Ramachandran Gold Medal for the year 2016, CSIR Young Scientist Award, CSIR Innovation Award for School Children are the other CSIR awards that would be presented on this occasion. After the formal launch of a major program on ‘CSIR Integrated Skill Initiative’, Dr. Harsh Vardhan also elaborated on the range of special activities built around the CSIR Platinum Jubilee Celebrations during the ensuing year, including organization of unique CSIR showcases and holding of lecture series of eminent scientists and industry captains, in several cities across the country. 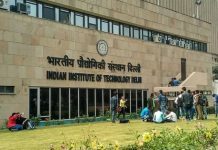 The Minister added that CSIR proposes to launch 30 integrated skill initiatives in diverse areas with varying duration that would be further expanded to 75, within next one year. All these training programs are interconnected and linked to industry requirements and thus would invariably contribute to the subsequent employment generation, including small-scale entrepreneurship, he emphasized. 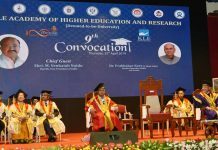 Dr. Harsh Vardhan highlighted that CSIR, with its nearly 8000 highly talented S&T personnel, excellent inter-disciplinary expertise, state-of-the-art facilities and a Pan-India presence, it is in a unique position to contribute towards Government’s enterprise- enhancing programs in Skill India and Stand up India. He informed that no other Nation in the World has a conversion rate of innovations into patents over an average of 3-4% except CSIR, which has 13-14% on an average. While congratulating CSIR on its achievements during the 75-year long journey, the Minister mentioned about some of its path breaking societal interventions which have empowered the common man. Be it the creation of the unique indelible ink used by the voting millions during its initial years or India’s first baby milk – Amul spray milk powder, derived from buffalo milk with excellent digestibility, or resurrecting the Indian leather industry from the verge of closure, due to pollutants contaminating water, thus saving the livelihood of thousands, CSIR has time and again proved itself relevant to the nation during its journey of its 75 years, he added. On this occasion, in the presence of the Minister, the CSIR-Central Leather Research Institute (CSIR-CLRI), Chennai and Andhra Pradesh Scheduled Castes Cooperative Finance Corporation (APSCCFC) signed an agreement for skill training, upgradation and entrepreneurship development of 10000 underprivileged candidates who are below the double poverty line with an aim of creating income generation assets for their households enabling their socio-economic development.